After crushing it in the minor leagues, Anchorage's Rosie Mancari is ready for the big leagues. A dominant force on the Nor-Am snowboardcross scene the last two winters, Mancari graduated to the World Cup circuit this season. The timing is right, she said. "The Olympics are next year, so it's kinda my year to go for it," she said. "It's a huge step up from Nor-Am. It's a totally different ball game." Mancari, 22, is one of four women on the U.S. Snowboarding team. She is coming off two terrific years on the Nor-Am circuit, a North American race series that is a tier below the World Cup. In 21 Nor-Am races over the last two seasons, Mancari claimed five wins and was in the top five 15 times. But becoming a full-time World Cup athlete could not have happened for Mancari without the help of family, friends and strangers. She has raised about $20,000 on online fundraising sites over the last three years, money that makes her career possible. "It's crazy to think about it," she said. By getting a $25 donation here, a $50 donation there, Mancari has been able to finance some of the routine costs of being a world-class snowboarder – plane tickets to races and training camps, lodging and other living expenses. Mancari doesn't get funding from the U.S. team because she's on the development team. Funding is reserved for A team and B team riders. The benefit of being on the development team is it allows her to enter World Cup races. But the expense of getting to them is all hers. She even has to pay for her own coach and wax technician – expenses she shares with another development-team rider. "My goal is to make it to the B team so I can get the coaching and wax help," she said. Until then, Mancarai will continue to rely on online fundraising, plus the tips she earned from a summer waitressing job in Anchorage, the income generated from an annual garage sale she and her mom host and the help of her parents. Mancari said she budgeted $30,000 for her first full season on the World Cup. About one-third of that came from the Rally Me website popular with athletes. She said she felt uncomfortable when she launched her first online fundraising campaign a couple of years ago. "It was hard at first to try to share your dream and ask for money," she said. "… I don't like to put that on other people, make them have to say yes or no. But it's kinda essential." Mancari's parents own Denali Sightseeing Safari, which takes people into Denali National Park's backcountry in monster trucks. 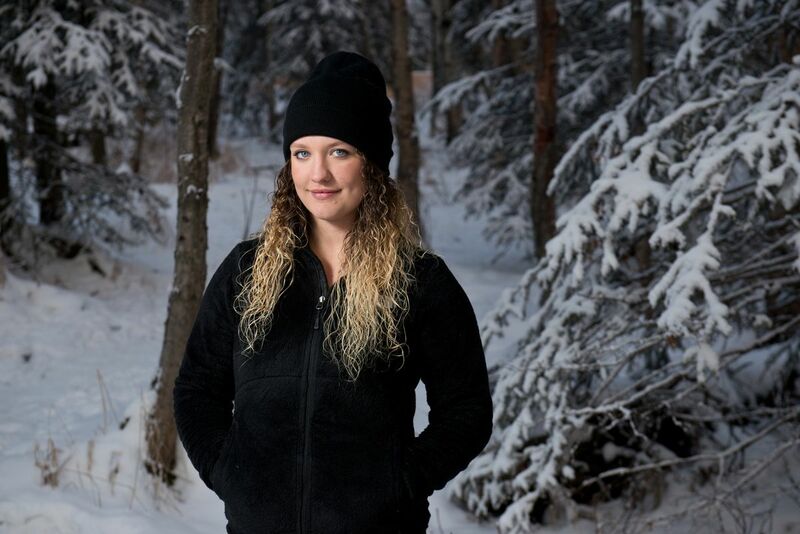 Spending summers in Denali fostered Mancari's love of the outdoors, and spending winters at Alyeska Ski Resort gave her a need for speed. "I've always been a speed demon," she said. But she didn't become a racer until she was a middleschooler at Polaris K-12, where she took a snowboarding intensive unit. Other kids in the class encouraged Mancari to join the Big Alaska Snowboard and Freestyle Club, "and I never looked back," she said. Mancari graduated from South High a semester early so she could spend the winter training in Steamboat Springs, Colorado, where she is a member of the Winter Sports Club. When she first arrived in Colorado, she considered herself a slalom and giant slalom racer – the same as Rosey Fletcher, the three-time Olympic snowboarder from Girdwood who won a bronze medal at the 2006 Turin Olympics. "I was training with the boardercross team and they put me in a race and I got third place. I thought, oh my gosh, I'm so much better at this," she said. Snowboardcross – also known as boardercross – is a high-speed, action-packed event with the potential for physical contact. It puts four to six riders on a narrow, downhill course that includes berms, steeps, flats, drops and small jumps. "It's a lot of fun. It's terrifying, but it's fun," Mancari said. "… There's a lot of adrenaline. You're riding right beside three or four or five other people, so the chance of crashing is there. There's so many variables. Giant slalom and slalom are about technique. Boardercross, you never know what's gonna happen." Mancari's move to the World Cup puts her on a literal collision course with the world's best riders. In her first and so far only World Cup race this season — the season revs up after the holidays — Mancari placed 31st in Montafon, Austria. A day or two later, she competed in a team relay exhibition race held on the same course. Her partner? The most famous woman in snowboardcross – Lindsey Jacobellis, whose long career has yielded 10 X Games championships, four world championships and one Olympic medal. They finished fourth, one spot off the podium. Mancari, who is ranked 31st in the world, is ranked third in the United States behind Jacobellis and Faye Gulini, who placed fourth at the 2014 Sochi Olympics. Jacobellis and Gulini are two of the sport's best, and spending time with them has been inspiring, Mancari said. "I don't think it's daunting. I think it's pretty encouraging," she said. "I look up to them a lot, and if I have questions I can ask them. We've become good friends."